Thank you! Your submission has been sent! Welcome to the Rochester Area Chevy Dealers! 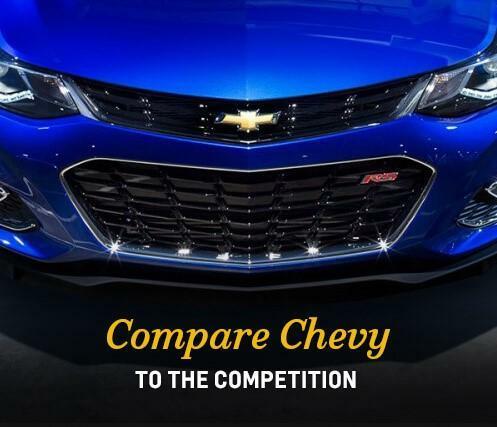 We're proud to offer the largest selection of Chevrolets in the New York area. 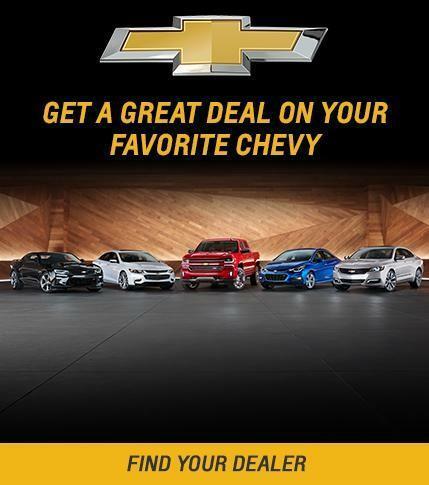 Stop by one of our member dealerships and test drive a Chevy Malibu, Chevrolet Volt or Chevy Camaro. Our dealers carry the complete lineup of Chevrolets, including the Chevy Cruze, the Chevy Equinox, the Chevy Silverado, and the Chevy Traverse. If you're looking for a used vehicle, we're happy to help. We carry an impressive array of used, pre-owned, and certified pre-owned cars, trucks, coupes, hybrids, minivans and SUVs, including the most popular makes and models available today. Feel free to explore our website when you're looking to buy your next vehicle. Rochester Area Chevy Dealers all have the latest models, great deals and reliable service departments. Check out the online research tools we offer, and don’t forgot to contact us if you need any assistance. When it comes to Chevy dealers in Rochester, New York, we're head-and-shoulders above the competition. 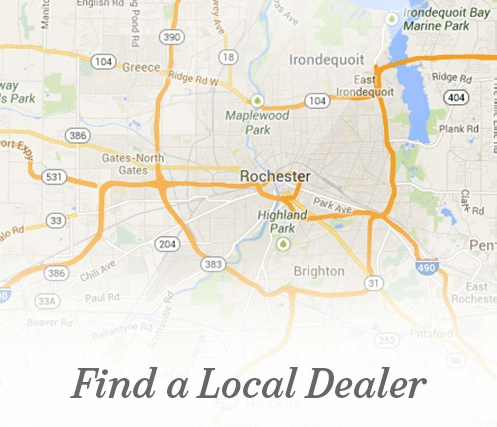 Use our website to get directions to the nearest of the Rochester area Chevrolet Dealers. Then stop by to test drive the vehicle of your dreams. When it's time to buy a new or pre-owned car, Rochester Area Chevy Dealers is the place to go. Our lots are open at the most convenient times for our customers. Our dealerships all have friendly, helpful, sales staff in a relaxed showroom atmosphere, and they're dedicated to assisting customers. Our goal is complete satisfaction. Our relationship with customers doesn't end with the sale. A vehicle is a major investment, whether new or pre-owned. Rochester Area Chevy Dealers' parts and service departments can help take care of all your vehicle's needs. Schedule your car’s next service or maintenance appointments with us, whether it’s for a simple wheel alignment, an oil change or major repair work. Our service departments have the latest diagnostic technology, techniques and tools. Our technicians are certified and experienced, and have an extensive and well-stocked inventory of GM parts and accessories on hand. And if a part isn't available they can order it quickly. Parts for other automotive makes and models are also on-hand. So, if your check engine light comes on, call our service team, who will be happy to provide assistance. You can trust us to protect your investment. 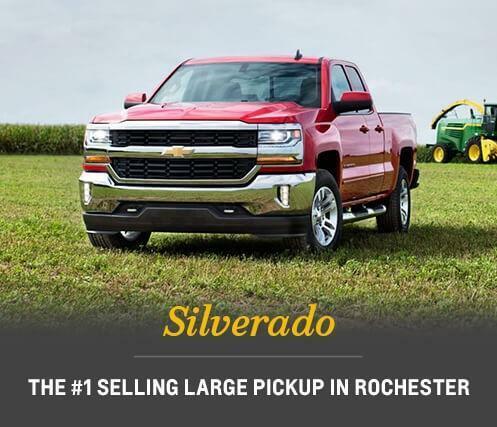 Rochester Area Chevy Dealers are a group of local Chevy dealers that joined forces to assist car buyers with their car shopping and ownership needs. Our website is a one-stop resource designed to help you find the vehicle of your choice — you'll be telling your friends that you found a great Chevrolet Dealer nearby. We serve the Rochester area to help make the car shopping experience a cinch. Many of our sales staff have been selling and servicing cars, trucks and SUVs within the Rochester metro area for a long time. They are eager to provide any assistance, whether finding the right car, helping you financing it, or even making sure you maintain your current vehicle. We pride ourselves on our commitment to assist you in finding your dream Chevy. 1. Based on IHS Markit CYTD July, 2018 new retail registrations in the Rochester DMA®. DMA is a licensed trademark of The Nielsen Company.